Good God Paul, where are your ears? Speak up Ryan, he can't hear you. WHERE IN THE NAME OF KRISHNA ARE YOUR EARS, PAUL? Alright Ryan, settle down, he's not deaf. Oh, sorry, he is. No ears you see. Or nose. Wonder how he smells? I don't know if there are avatars I like more than others. But I can say I hate it when someone changes their avatar. Oh, sorry. I thought you asked how he smells. 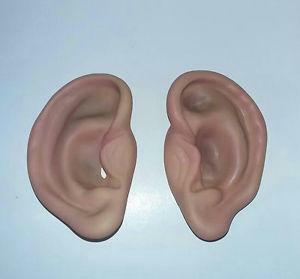 Here's some ears for your avatar. Mackenzie’s rotating Circle 10, Circle 12 is my all-time favorite. Sorry, I was on my Playstation playing Diablo 3. I can fold my ears back. A somewhat rare and cat-like trait, but you don't see them on the avatar because of that. It can make me look somewhat intense, quite the opposite of NamesJay there. He's only relaxing for the camera Ken. As soon as the shoot is over, those curtains get shredded and the tv goes out the window. What level are you up to on Diablo 3? @mackenzie999 - it's time for a change of currency my good man. Pence is where it's at. Pence is where it's at. Disagree. A sterling example of logic! Act 3 , Level 54. Reaper of Souls Edition. I managed to beat Belial at Level 50, Expert mode. First play through as a Barbarian, so making it that difficult for myself wasn't clever. Pictures or it never happened. Make sure you've got pants on though Ken, I've eaten.